It’s snowing and bitterly cold as we’re marched through the grounds of Berlin’s Hohenschönhausen Prison. A biting wind sweeps through the sprawling complex, coordinating perfectly with the drab collection of grey-brown buildings and the mood amongst us. This is the kind of cold that cuts right through you and rises up through your soles to make your bones ache. I’m cursing my thin, useless socks. We walk in single-file as we begin to make our way up the stairs to the interrogation room, and as we cross the threshold the feeling of dread intensifies. The room is ominous in its sparseness, just a couple of desks angled in a T shape, a telephone, and a wall heater to furnish it. No one’s really making eye contact anymore. “This,” our tour guide finally speaks, “is where prisoners of this former Stasi Prison were interrogated between 1946 and 1989”. "and that," she gestures right to the spot where my Dad is standing at the end of a long table, “is the exact spot you’d stand when you were tortured into false confessions of crimes against the state”. The Hohenschoenhausen memorial was my first experience at a tragic historical site, and though harrowing, I also found it fascinating. It wasn’t just the visual representation of what happened here; it was the way the rooms felt, the cold in our boots, the sadness in my throat, and a sense of deep empathy for the victims who passed through here and couldn’t walk back out the gates again. Since then I’ve woven darker sites in amongst the more ‘regular’ tourism experiences during almost all of my travels, – including our current ones as The Common Wanderer. And we’re definitely not the only ones. Over 33 million people have paid their respects at the 9/11 Memorial since it opened in 2011. In 2015, the Auschwitz Birkenau Concentration Camp saw 1.53 million visitors pass underneath the harrowing ‘arbeit macht frei' (work makes you free) sign, and Cambodia’s Killing Fields (Choeung Ek) drew over 210,000 in 2014. Then there’s Toshifumi Fujimoto, the Japanese trucker and photography enthusiast dubbed the ‘world’s most extreme tourist’ after being spotted on holiday in a conflict zone in Syria by a war reporter last year. They’re not exactly the relaxing or uplifting activities you’d associate with a regular holiday, and they also beg some pretty valid questions about the ethics of turning victims into some kind of commodity (the phrase ‘death Disneyland’s’ has been used!). So why are an increasing number of us so drawn to this morbid sightseeing in places that have witnessed despair, disaster, and death on tragic scales? The term ‘dark tourism’ has only really slipped into mainstream usage in the last 15 years or so, but it might surprise you to learn that the phenomenon itself isn’t actually symptomatic of some modern voyeurism or moral sickness. It turns out that a fascination with death and instability has been one of tourism’s draw-cards for some time, and humans have been visiting tragic sites since long before the middle ages. Our ancestors attended bloody Roman gladiatorial games, undertook pilgrimages to sites of religious martyrdom, and became spectators at public executions. More recently, well-to-do gentlemen between the 17th and 19th centuries embarked on the cultural ‘Grand Tour’ of Europe, an educational rite of passage at the time which also took in darker locations like the Battle of Waterloo grounds and Pompeii. Potentially the most horrifying tours of all were the open days at Victorian-era mental institutions, which afforded the wealthy elite the opportunity to gawk at the oft-chained clinically insane. Classy, right? Understanding why dark tourism sites are even a thing has experts pretty stumped generally. The current debate swirls around personal connections with a place, an intrinsic desire to learn, morbid curiosity, remembrance or empathy with the victims, historical validation, an exploration of our own mortality, or a sense of social responsibility. It’s been a lengthy debate and one that will probably remain conclusion-less forever, but what they definitely agree on is that the answers are found in a murky mix of curiosity and connection, history and heritage, and travel and tragedy. Indeed, speak to any 'dark tourist', and you’ll soon discover how complex their motivations are. Where one goes to Auschwitz to better understand what their family members suffered through, another visits Ground Zero out of morbid fascination or validation that this huge history-changing event really did happen. Well, it’s probably somewhere in the grey area between remembrance, wanting to better understand every shade of a country and its cultural memory, and a horrific – yet necessary – reminder of man’s ability to be cruel. After a recent visit to Choeung Ek during our Cambodian travels, we walked out to meet our wonderfully cheerful Tuk Tuk driver and realised his age alone immediately stamped him as a survivor of the Khmer Rouge regime. The old lady who had sold us fruit on the street that morning, beaming one of the warmest smiles we’ve ever seen? Prior to the Khmer Rouge, Cambodia was far more advanced than neighbouring Thailand, Laos, and Vietnam. Now it lags behind somewhat, still picking up the pieces decades later, and yet its people are amongst the most kind, generous souls on the planet. As with other recovering countries, to understand today's Cambodia, you really have to understand the Cambodia of days past. Yet there’s something more profound to it too. Prof J Lennon, (who actually coined the term ‘Dark Tourism’ in the early noughties) believes that it’s a crucial way for us all to learn the lessons of our past. He says, “to remain silent, and not record and interpret these events for tourists, may encourage future generations to ignore or forget these terrible periods of human history". "Dark tourism, like our dark history, occupies an important part of our understanding of what it is to be human”. Maybe that's why it's a thing. 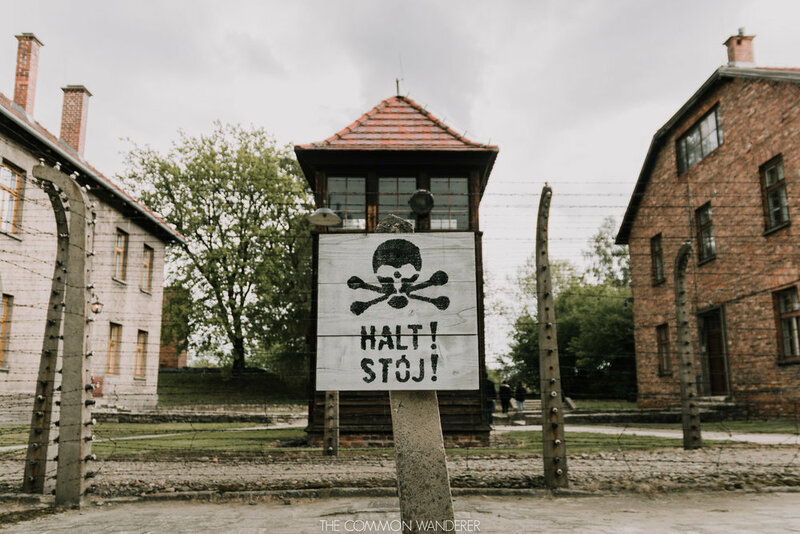 Share your thoughts on Dark Tourism in the comments below! This post originally appeared on the Intrepid Travel blog.